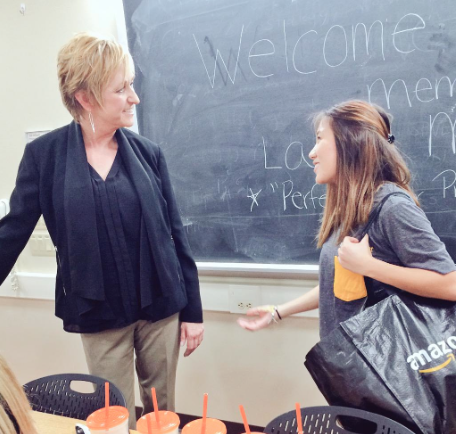 Members of Penn State’s Public Relations Student Society of America recently had the opportunity to attend a speech given by Laura Maxwell, executive director of the Accelerate Leadership Center at Carnegie Mellon Tepper School of Business. The speech focused on perfecting personal professionalism. Maxwell started by reassuring members that it’s okay to be unsure about future career paths by offering her personal story of becoming a nurse and then realizing the profession was not for her. However, she also reminded those in attendance that maintaining professionalism and excelling in public relations coursework will prepare students for many types of careers. The hour-long speech was extremely interactive as Maxwell asked students to think of ways to make themselves stand out in an interview. Answers included eye contact, volume of voice, a firm handshake and proper posture. She then gave in-depth descriptions of why these aspects are so important and how to nix the bad habits that often take their place. Students also received helpful tips on professionalism, ranging from how to dress for an interview to what pictures to post on social media. Overall, the speech was extremely informative and helpful. Penn State’s PRSSA is very lucky to have access to such great speakers, and we all look forward to seeing what interactive workshops the rest of the year will bring.